Springfield, IL… On the heels of the Senate’s override of the Governor’s veto of Senate Bill 2043, House Republicans from across Illinois joined together to reiterate their willingness to compromise and arrive at a responsible solution to fund Illinois’ higher educational community. The group of legislators cited several bills that have been presented including Rep. Brady’s House Bill 4539 which sought to fund not only MAP grants and community colleges, but also the operational budgets of our State’s four-year universities excluded from the Democrat proposal. “Repeatedly, we have heard from our four-year State Universities that their priority is receiving Operating Funds in order to continue their services without major interruption. 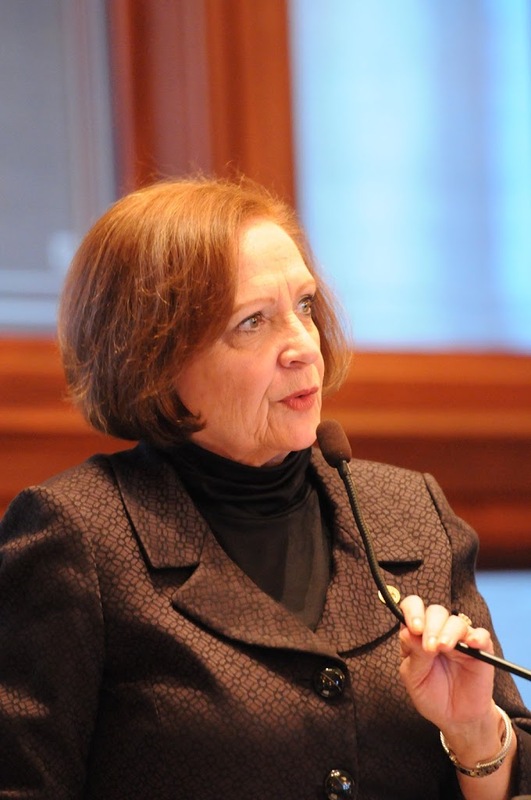 SB 2043 did not include any Operating Funds for State Universities,” said Norine Hammond (R, Macomb) who represents Western Illinois University. “We must have a comprehensive solution that funds higher education. There are multiple bills with funding sources attached. These bills combined are the start of a solution. We are here to strongly advocate for compromise in order to resolve this urgent issue.” During the original debate on Senate Bill 2043, House Republicans noted the oversimplification of the Democrat sponsor Kelly Burke’s explanation of how exactly the State of Illinois would pay for the MAP grants and community college payments. They took specific exception with the implication that the Illinois Comptroller could simply prioritize the spending.